We love making your pet look its best! Let us bring out the beauty of your pet in a personalized, compassionate stress-free environment. Our experienced groomers pay great attention to detail and quality. We make sure your pet is comfortable and relaxed during the grooming process and use the highest quality products. 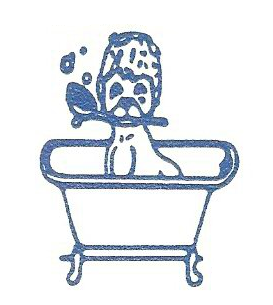 We also offer a convenient, self-service section allowing you to bathe and dry your pet in large, elevated, easy-to-use tubs. Self-service is open 10 a.m. to 6 p.m. Tuesday through Saturday.